Do you want to use specific reels for specific scenarios? If your answer is yes, you are not alone. Some people nurture these types of unique characteristics while fishing. So, they use one reel while fishing from surf and use another while fishing from a boat. However, most others prefer to use one reel for various ways. 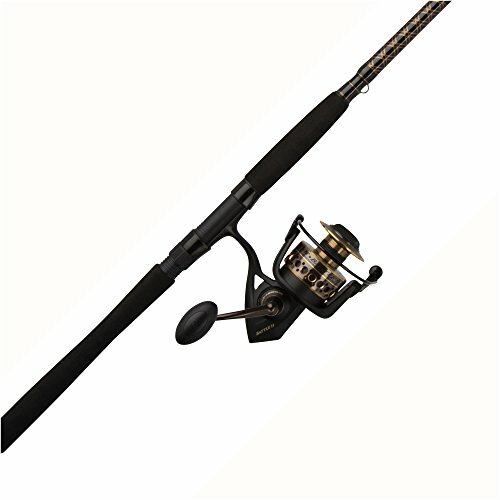 If you fall under this category, PENN Battle II Spinning Reel is designed for you! Fishing is a very popular spare time hobby and sport these days. Many people take it more sincerely. If you are serious about fishing, you need a high-quality reel, which is inevitable for fishing. A great spinning reel is required regardless of the species and place. This is the prerequisite for getting a pleasing result. Today, fishing has become a sport as well as a hobby. A huge number of people engaging in it not just because of getting enjoyment but they really love it.You must be prepared with the right and appropriate accessories if you want to get a great fishing experience. Lots of accessories such as rope, reel, bait, and so on are crucial for fishing. A highly tuned reel and a long fishing pole are required for both surfcasting and long distance casting. 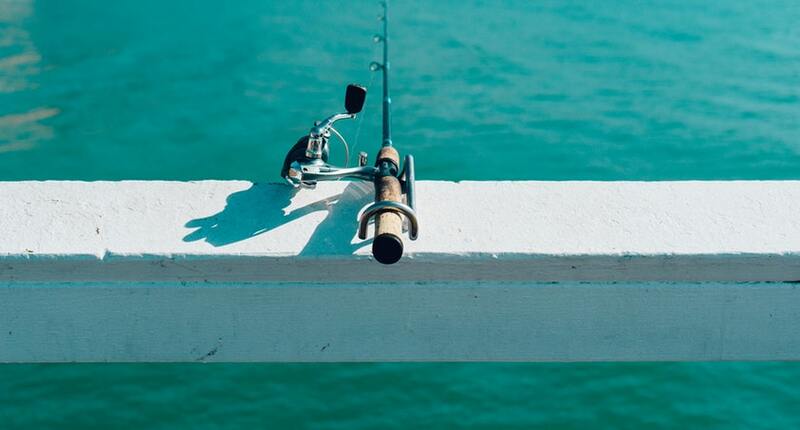 However, you should not be fooled by the simplicity of a fishing reel. 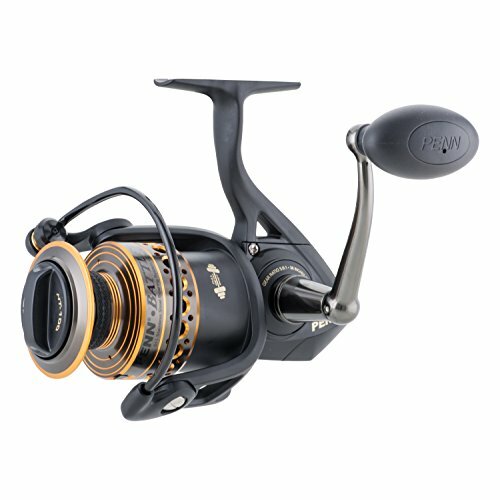 Do you want to purchase a useful, good and affordable spinning reel? Definitely, you can definitely go with PENN Battle II. It is not only reasonable but it consists of all features that are required for a good spinning reel. The quality can be recognized with the first touch of this product. The body of PENN Battle II is made of full metal along with a side plate and rotor. The product has bagged several awards for its extreme quality as a saltwater reel. It is also the best for shall shark, snook, redfish, largemouth bass, and even tarpon. If you search for the top best spinning reel in the market, you can find Battle II on the top position. An interested and enthusiastic angler never neglects the importance of this product. When you check the features of the best spinning reel, you can find that this product incorporates all those features. Housing is the alternative name for reel body. Aluminum, graphite or a combination of both is used for making the housing. Graphite is used in cheaper spinning reels. But, the expensive ones are manufactured by using aluminum, which makes the reel stronger. Graphite is lighter, but aluminum provides you more strength. You can decide whether you need a strong or lightweight housing. Proper knowledge regarding the frame or reel body is essential for getting the expected result. Full metal is used for constructing the reel body of PENN Battle II. Thus, it supports you perfectly when you catch fish in both saltwater and freshwater. Drag system has a greater role in a spinning reel. Thus, you must be very conscious while purchasing a spinning reel. The drag has a major responsibility when you apply pressure on hooked fish. It lets out the line during the time of the fight. A high-quality, smooth drag is inevitable for catching lots of fish species. The drag system of PENN Battle II is HT100 carbon fiber, which is helpful for applying pressure hooked fish firmly. Casting reels consist of a rotating spool, but spinning reel comes with a fixed spool. A ball is used for wrapping line onto the spool. Reel gear ratio indicates the number of times ball rotates the spool with the single turn. Reel gear ratio of Battle II is 6.2:1. It is perfect for supporting you significantly during the time of catching fish. These are the other crucial aspects in a spin fishing reel. Therefore, it is important to select a reel with maximum ball bearing as per your affordability. 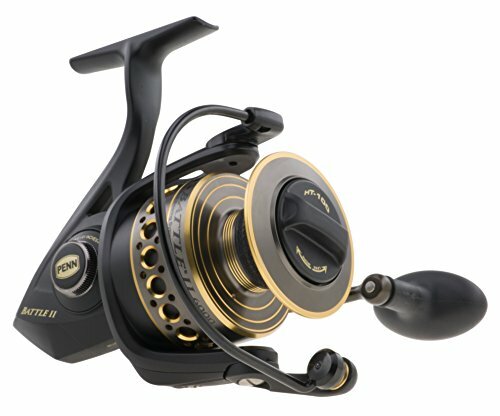 Selecting a reel with minimum 4 ball bearings is always recommendable. The 5 sealed ball bearing makes this device extra durable in salt water because it can prevent water intrusion successfully. Battle 2 is the upgraded version of Penn Battle. This new model is on the market for the past few years. The company has done an improved paint job for making it more resistant to corrosion. The previous versions are more prone to damages due to chemicals and sprays. But, this version can withstand all such problems. This is a greater innovation and more and more manufacturers are using this facility. By assisting an angler, it tells the amount of line left on the reel. It is highly important when you hook big fish or fishing at a dead stop. 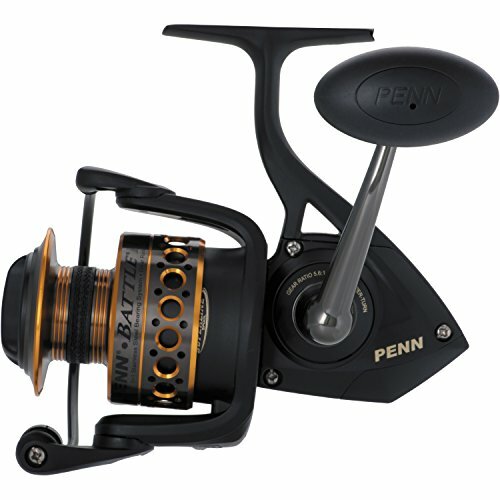 Penn is a trustworthy name in spinning reel industry. Comes at an affordable price, this spinning reel will not leave you hanging. This product is designed for serious fishermen and for heavy use. You can also purchase it without breaking your bank. This is an excellent surf fishing reel. Purchasing a workhorse reel is the objective of all fishermen. However, you may need to wait for years for the introduction of such a great reel. Some are ready to spend hundreds or thousands of dollars for purchasing such a great reel. As the name suggests, Battle 2 is the right choice for any fisherman.